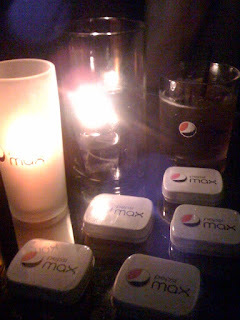 Last night, I attended the CBS Pepsi Max Premiere Party at the popular nightclub lounge My House in Hollywood. 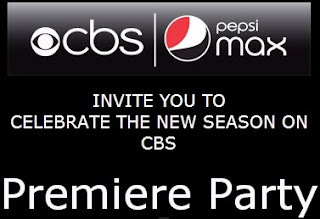 Although I did not handle the event, I was still able to score a ticket thanks to my client Pepsi and tweeted the night away from the intimate party. While inside the party, I spotted a lot of the CBS stars like Joe Mantegna, the cast of The Big Bang Theory, David Spade and Patrick Warburton (Putty) from Rules of Engagement and How I Met Your Mother's Jason Segal and Josh Radnor. There were some other faces that I recognized from more supporting roles too. Sadly, I did not see NCIS' Mark Harmon. Despite the star power, the party was kept pretty small and with limited outside guests, which made it nice and also allowed me to approach David Spade, who I always liked from movies, SNL and Just Shoot Me. When we posed for a photo I admitted "I was just watching Just Shoot Me this morning when I got ready for work." Yes, that was dorky of me. Oh, and you can see Seinfeld's Putty in the background of this photo of me and the Spade. I also spoke with Jason Segel again (first time here) and yet again he was super sweet. He said no problem to taking a photo with me and just seems like a genuinely nice, easy going guy. 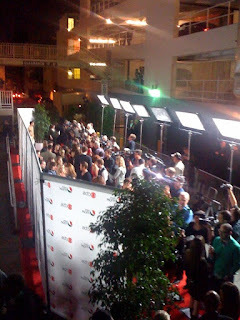 Pepsi Max CBS Premiere Party red carpet from PepsiCo on Vimeo. ummm HEART JASON SEGEL! and yes i had to yell it, haha. love it and so glad he's such a nice guy. Dude I cannot get over the fun stuff you go to. How do I get a piece of this? Jason S. seems like a cool guy....but I guess he would have to be, since millions of people have seen way too much of his junk. All sounds very exciting. You really are getting around in Hollywood. Ever consider coming back to NY?